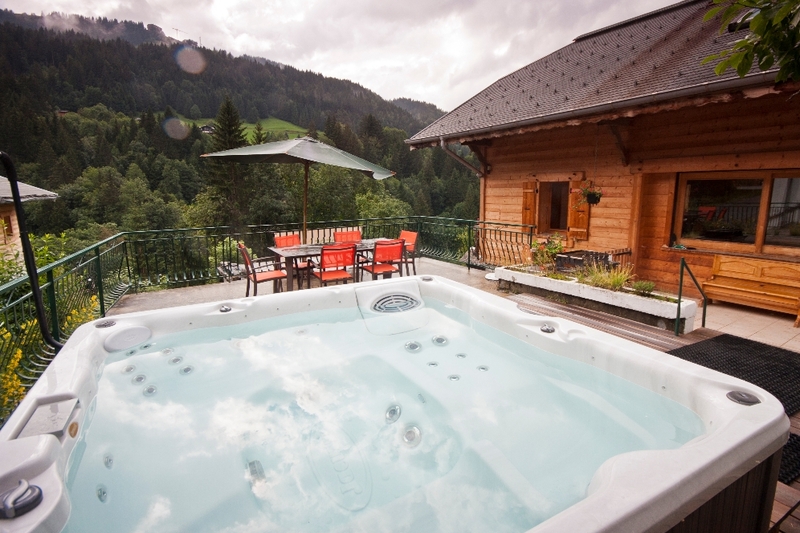 This is a small self catered chalet in Morzine with large hot tub. 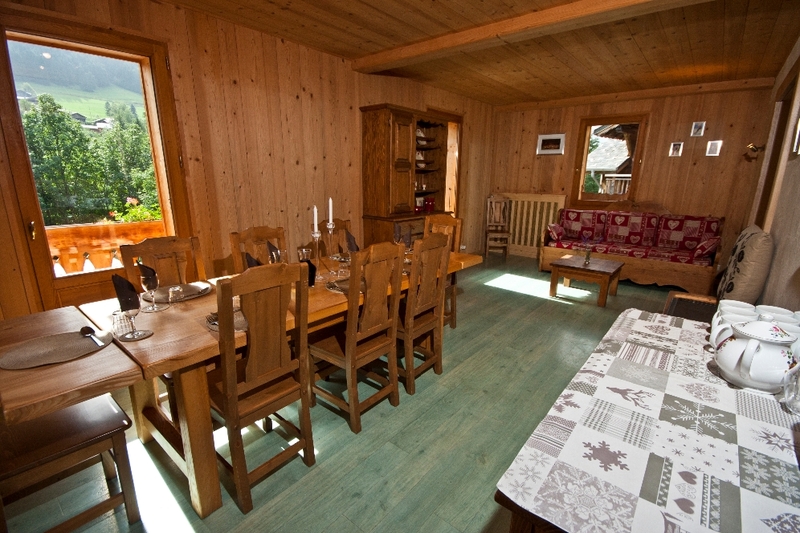 Chalet Emile is an 8 person chalet located in central Morzine available on a self-catered basis. The chalet has 4 bedrooms, fully equipped kitchen, spacious dining area and lounge, huge outdoor hot tub and a large sun terrace. Chalet Emile makes the ideal location for your holiday and has all you could ask for for a small self catered chalet in Morzine. 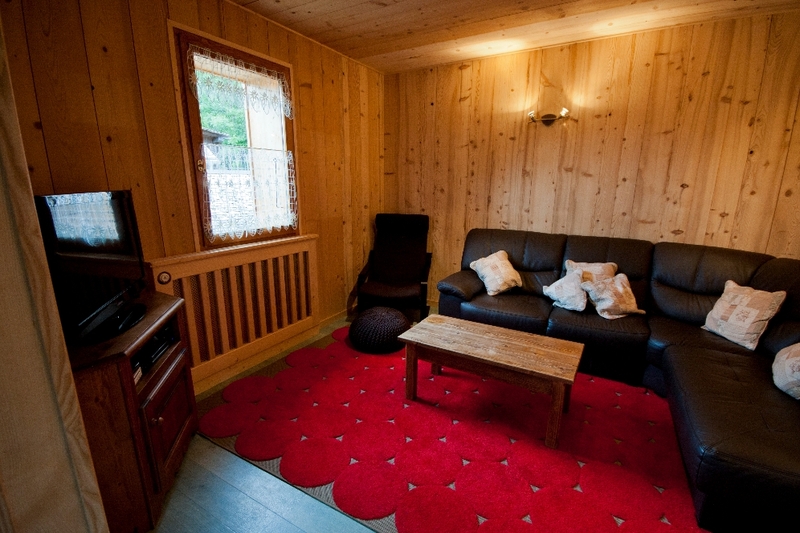 Riders Refuge have hand picked their Morzine accommodation to provide a luxurious base in a great, central location. 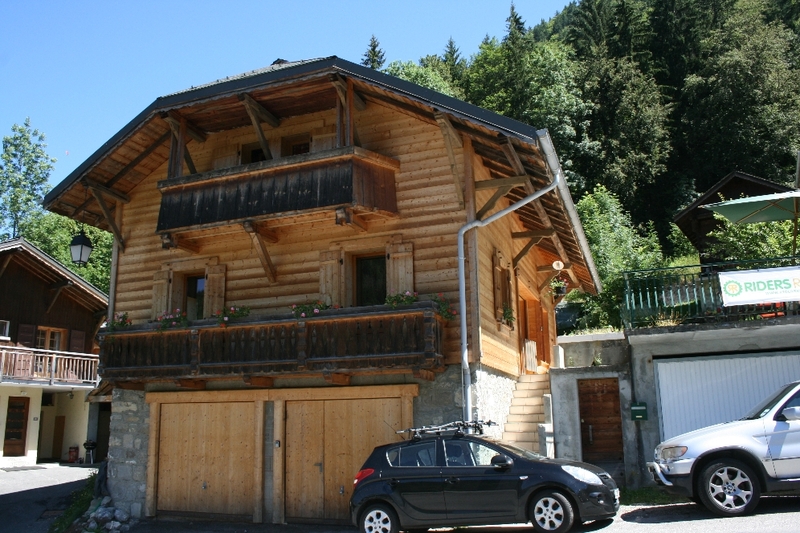 This chalet is the perfect self catered chalet for you mtb holiday. 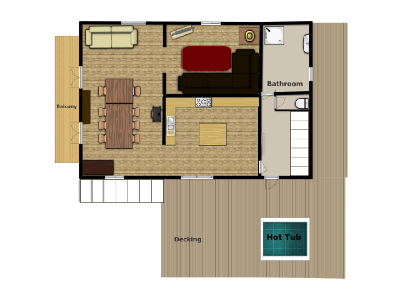 This chalet maybe for a small group but it has spacious living areas. 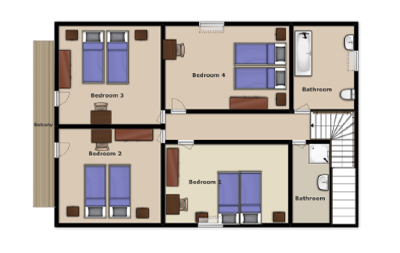 Four bedrooms and three bathrooms, Wi-Fi, Laptop, Wii games console, UK freesat TV and media hard drive. The chalet has large sun terrace complete complete with barbeque, an outside dining area and Hot Tub, perfect to relax in after a hard day on the mountain and a barbeque for you to enjoy the summer evenings. 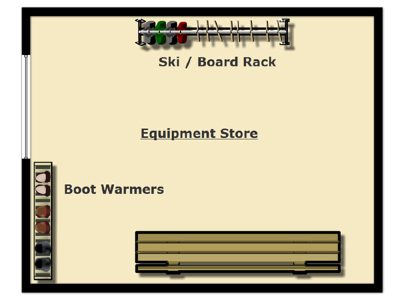 The chalet has a large, secure bike storage with workshop area. It also has a washdown area complete with hose. 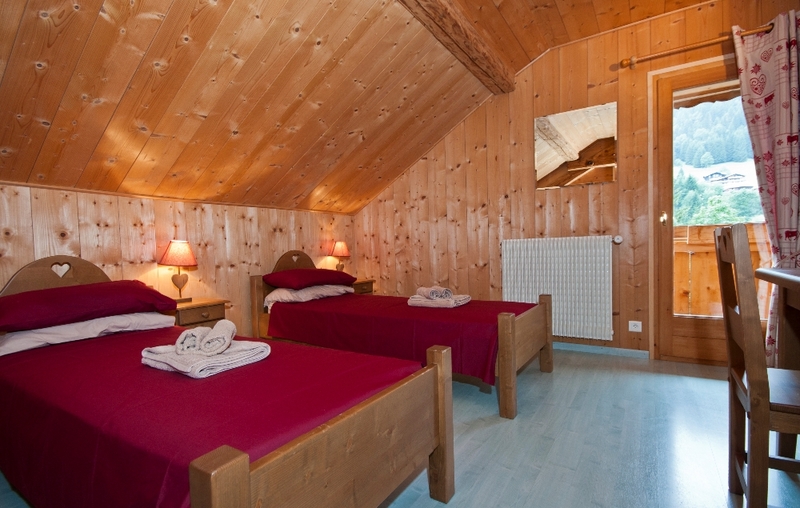 Chalet Emile is available on a self catered basis. The prices below are for the whole chalet per week and include all linen and towels, daily hot tub maintenance and tourist tax so there are no hidden costs. Transfers are not included in our self catered prices but can be arranged for you at a discounted price. 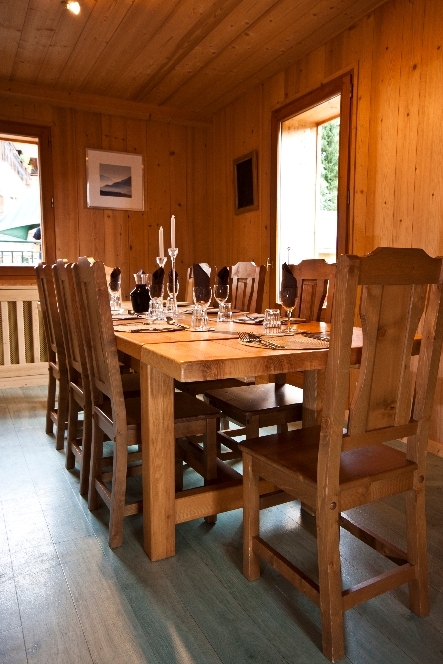 The chalet is available on a weekly basis or for long weekends. Please Contact Us for a tailored quote.